Another in the series for Libraries Week, in this post I bring together examples from some of the many Friends groups around the country, which show the work they do to support their library. Collectively their efforts are a powerful illustration of the outcome: stronger and more resilient communities. The initial idea came from a suggestion from a group based in Bristol: Save Redland Library. As the name suggests, they were born out of a campaign to save their library - which is the way some Friends groups start. As an illustration of the kind of events they run, they referred me to their website. Many other groups are formed with the desire to work alongside established library service teams, and support them by adding a wide range of different skills and experiences into the mix - whether by fundraising or running events and activities. 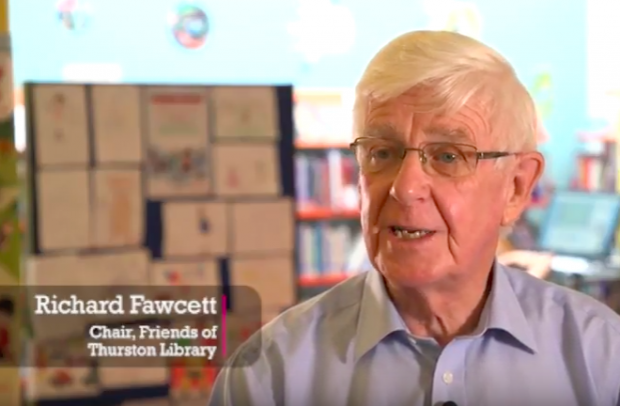 Watch and listen to Richard Fawcett, the chair of the Friends of Thurston library in Suffolk, as he talks about how the group has enabled the library to become “a bigger place” and the transformational effects it has had on people’s lives. He talks about a couple of the groups they run and how they have an effect on the wellbeing of their members. He mentions their Sewing Bee, which they helped to become established by buying a couple of sewing machines and the way it has helped a young mum in a wheelchair; and a Manga club, run by a girl who by her own admission had led a sheltered life, but who now has grown in confidence and skill and runs a thriving group. 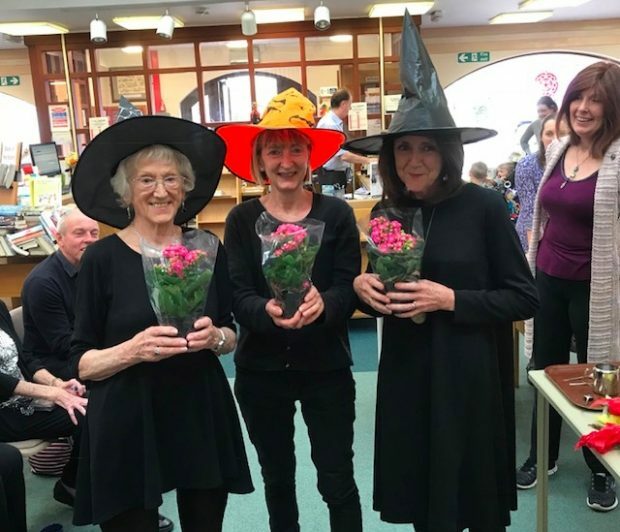 The Friends group in Tarleton library, Lancashire, started as a campaign group, but the library did not close, and the group became a Friends' Group to enhance the library's offer to the community and support staff. 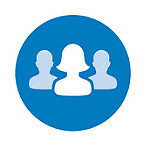 Initial funds were raised by a £1 donation to become a member of the Friends. With the proceeds, they bought a large hot water boiler and began a weekly coffee morning. This developed into a welcoming social group much appreciated by those who might otherwise be isolated and newcomers to the village. They aim to hold at least one special event each month. These have included Lancashire Day, a murder mystery, 'The Shakespeare Factor', and a Burns Night celebration. Each year they also hold a children's story competition which attracts hundreds of entries from local primary schools - and they admitted that most of their funds go on prizes, and the costs of supporting this event. I heard about the Friends of Meadows library who have supported the library by engaging with the community through a reading group, sewing group, garden parties, talks and family events. 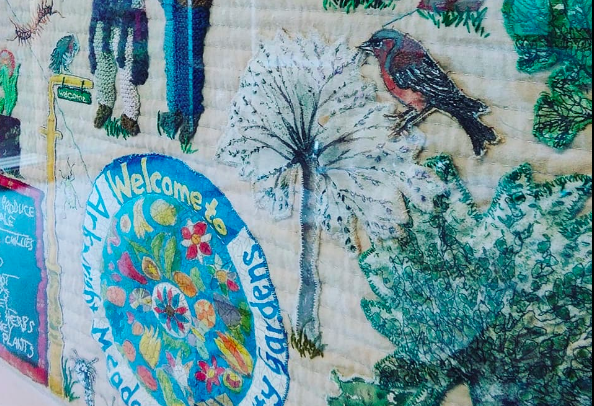 They bid for money to fund a wall hanging project by the sewing group and to pay for speakers and events. They also support and publicise library events but are an independently constituted body. I heard from lots of other groups, and I’ll share their contributions in a later post. If you’d like to contribute activities that your Friends group supports to that, please email me librariestaskforce@culture.gov.uk. Curious, then, that the Taskforce has never said 'yes' to repeated requests by The Library Campaign to include a representative of Friends/user groups on its steering committee. It has cut itself off from a major potentialally, all over the country - and the damage is evident.